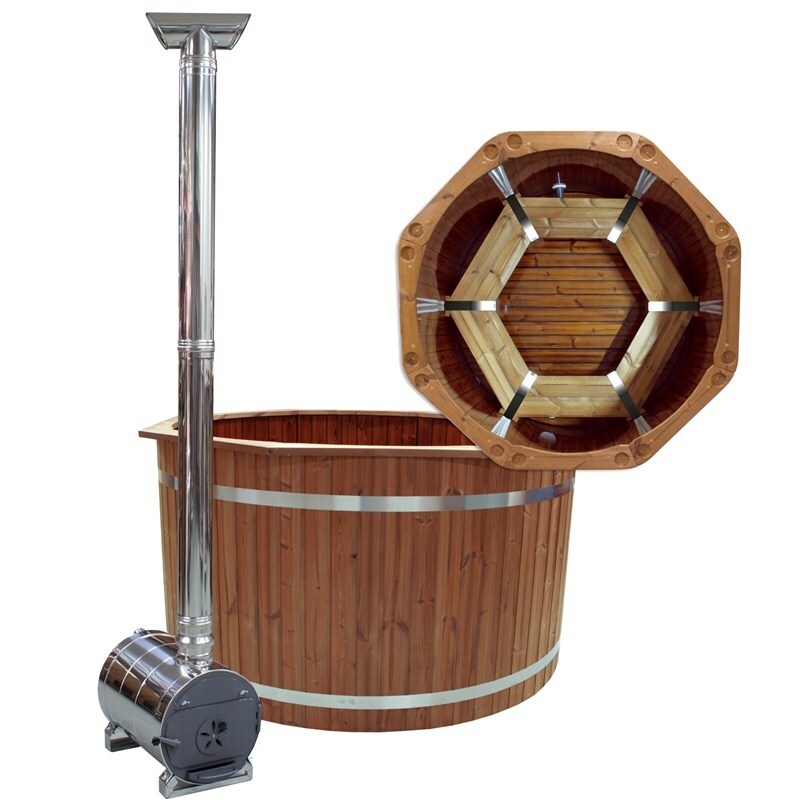 The traditional round hot tub can also be equipped with TubCoat sides and base. 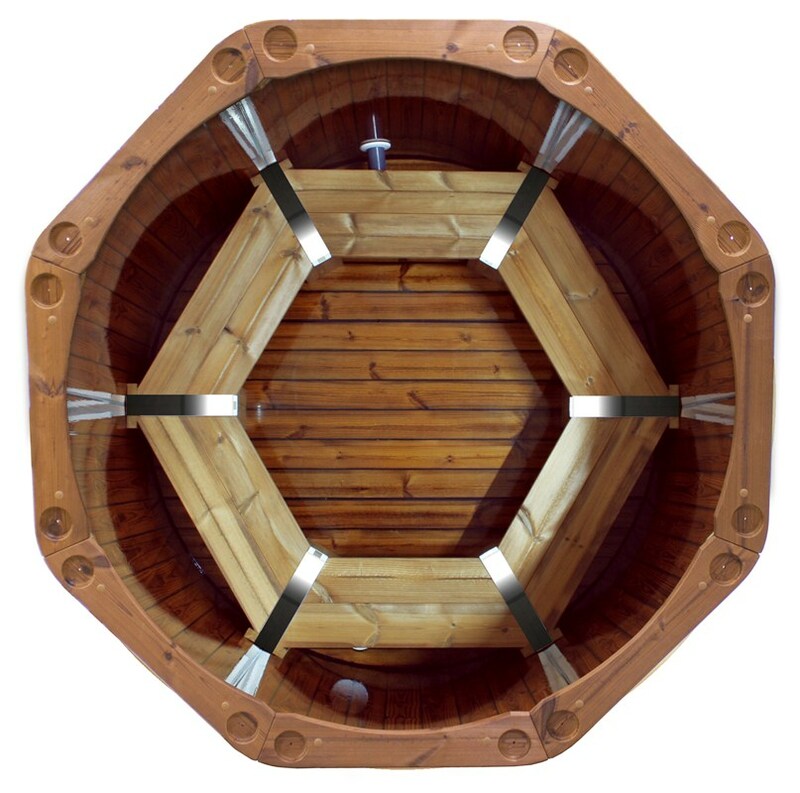 The sides are then made in modules, either 6 or 8, depending on whether the diameter is 150 cm (HT 150) or 180 cm (HT 180). Joint sealer is added between each side stave and base plank before it is machined and plasticised. It keeps the module together and makes it easy to clean. The base is made in 3 parts and made in similar way. The inner diameter is either 150 cm (6 benches) or 180 cm (8 benches). The amount of water is then 1200 litres or 1800 litres. Read more about the Exclusive here! Many have asked for the possibility to keep the water i..
Our bubble system is one of the most popular accessorie..
A small and compact but effective sand filter for small.. Submersible Skimmer with filter cartridge, pump 4000 l/.. Led Lighting with 18 light spots shifting in different ..
Stairs for Hot Tub 150 that makes it easy to get in and..
2-part cover for Hot tub 150 that speeds up the heating.. Insulated 8-sided vinyl cover for all-year-round use. I..